Photograph by Ritam Banerjee Cartier La Dona watch, Time Avenue, Mumbai. ‘I am able to separate the drama that is made of me, from the person that I am.’ For the last decade, whenever an election year rolls around, India looks at Priyanka Gandhi Vadra and is forcefully reminded of her grandmother Indira. It’s there in the walk, the looks, and the self-assurance, but there, for now, the resemblance must end: the younger Gandhi scion consciously eschews direct political participation, preferring to take a behind-the-scenes role in her brother and mother’s political campaigns and exerting a quiet influence over the Congress’ activities. Vadra remains as firm as ever on her decision to stay away from public office. But behind the scenes in the party, the media, and increasingly in India’s mind, she assumes the admiration and importance she has long held among the people of her family’s constituency, Amethi. First political speech As a 17-year-old adolescent. Familial bond Boosting political clout of brother Rahul; baking cupcakes for her kids. Off the soapbox Completing a Masters in Buddhist Studies. At home Shopping for groceries in Khan Market; social development in Amethi. A shy Marwari girl, married at a very young age, mother of two, with no formal training in design, runs her own fashion business. The usual bhabhi with a hobby? Try reigning queen of couture instead. In the past year, the shy and reserved Kolkata-based creator has ruled supreme. An ornate range at India Couture Week, followed by two Fashion Week finale shows in Delhi and Mumbai, plus collaborations with apparel brand Wills Lifestyle and cosmetics giant Lakmé have kept her super busy. Khanna also stepped into Bollywood with Delhi 6, where she designed a fresh, fashionable yet realistic and ethnic wardrobe for Sonam Kapoor’s character Bittu. The designer’s distinctly individual brand of layered textures and carelessly Indian chic is based on her own personal style, and she embodies the woman who she designs for. Her work has inspired many, and she herself is a modern fashion icon. Design speaks; the designer does not need to. Runway style Strongly ethnic – sometimes deconstructed, sometimes drape based, always layered, always with a twist. Personal staples Skinny churidars or denims with high heeled sandals or boots. International prêt Her label ‘Ana Mika’ for British design house Boho London. The Spring Summer 2008 collection was unveiled at Paris Fashion Week, at the Louvre. Awards Damania Fashion Awards (1995), Exports Council Award, Texcellence Award for Outstanding Boutique (Female), Kingfisher Designer of the Year (2004), MTV Lycra Style Designer of the Year (2004), FICCI Ladies Organisation’s Young Woman Achievers (2005), Marudhar Gaurav (2007). Driving philosophy To be a good mother and role model to her children. As head of programming for Colors, a channel that is zooming towards its first anniversary, Ashvini Yardi has collected several laurels for her crown. The channel’s line-up consisting of Balika Vadhu, Big Boss 2 and Khatron Ke Khiladi have all been runaway successes. In January 2009, Colors upstaged Star Plus from its undisputed throne for the first time in prime time TRPs. Success mantra Giving people their stories. The audience has to feel that parts of the story, if not the whole, mirror their lives. Smart strategy Disruptive scheduling by which the smaller towns start prime time earlier at night and the metros follow later. Helps her capture the maximum viewership. Hangs out with Ekta Kapoor. Signature look Form-fitted dresses in smart cuts. Driving philosophy The higher the TRPs, the better life gets. 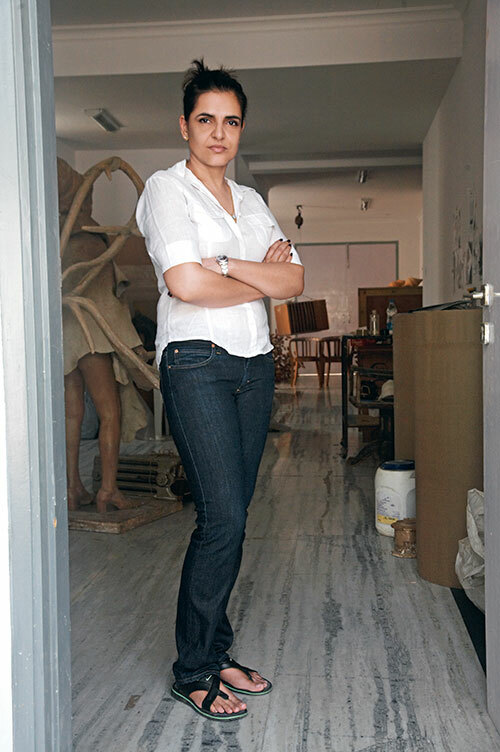 Bharti Kher, who raked in an unprecedented 1,06,100 pounds at last year’s Sotheby’s sale, has a BA Honours Degree in Fine Arts and painting. She is also a recipient of The Sanskriti Award, 2003 and YFLO Woman Achiever of the Year, 2007. 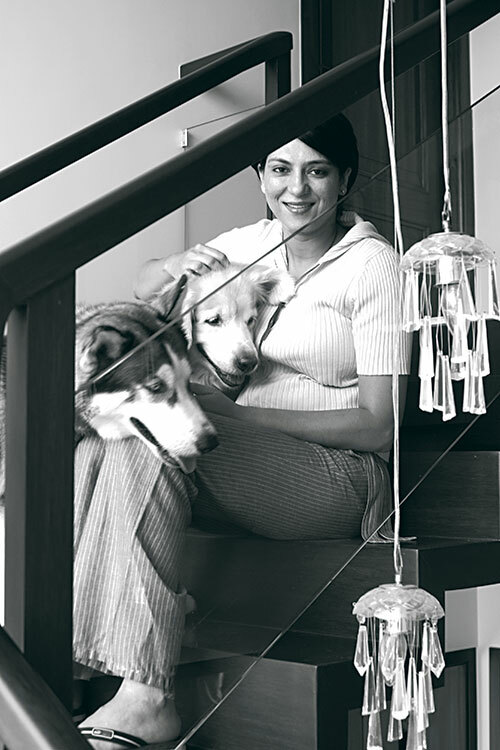 Known as much for her bankability as for her provocative works her USP is the mass-produced bindis prevalent in her fibreglass sculptures and detailed kinetic diagrams. 2009 has her participating in group exhibitions at Who’s Afraid of the Artists? Palais des Arts de Dinard, France; Casa Asia, Indian Narrative in the 21st Century: Between Memory History, Madrid; and Shifting Shapes. Unstable Signs, Yale University School of Art, Connecticut. Treasured possession Dayanita Singh’s Still Life 2008. The 30-films-old celluloid queen who is an advertiser’s delight with currently 10 brand endorsements (including one with beau Saif Ali Khan) was the only female star to make it to a male-dominated power list of a film glossy recently. This, in spite of just one release (Golmaal Returns) in the last few months, reportedly the first among a three-film, six-crores-contract with a production house. Currently, with her time schedules in a tizzy with Globus, Lux, Vivel and the like and a clutch of big banner films on the anvil, Kapoor, it is rumoured, was unable to dole out precious hours to a leading international brand. All heart She organised a surprise party for her family doctor and postponed a shoot to bring in mum Babita’s birthday. Best new buddy Nutritionist Rujuta Divekar. Panic attack In April, during a stage show at Ahmedabad’s Karnavati Club, 400 fans in overdrive broke free from the 30,000 crowd and lunged for her. Fortunately, there was a back door getaway. In the multiplex queue Kambakkht Ishq with Akshay Kumar and 3 Idiots with Aamir Khan. The model looks, Kashmiri antecedents and London accent preceded her flirtation with romantic comedies. Persistence reaped rewards and her camera-friendly curves and refreshing presence saw her basking in the sudden boom of success with back-to-back hits in 2008 which propelled her to the top of the popularity charts in 2009 making her the flavour of a very long season. The most Googled actress with the maximum downloads also joined a group of world divas like Elizabeth Taylor, Diana Ross and Beyonce Knowles when she became the Indian face for the Barbie Doll at the iconic toy’s 5oth anniversary this year! On screen hit Akshay Kumar (Singhh is King). On screen miss Salman Khan (Yuvvraaj). Beyond romance Prakash Jha’s Rajniti where her character is said to resemble Sonia Gandhi. 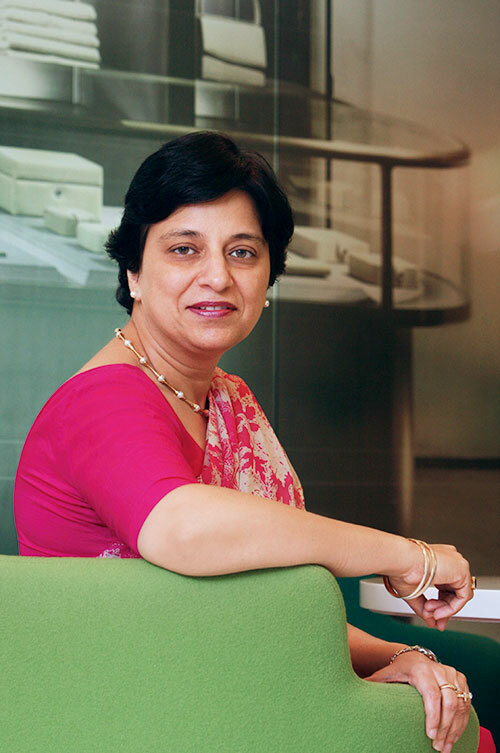 In a career spanning two decades, Neelam Dhawan has raced to the top of the Indian IT world. Appointed Managing Director of Hewlett Packard India last year, she is responsible for driving the company’s sales, marketing and business development in India. Prior to Hewlett Packard, Dhawan was the managing director for Microsoft India. Back in the 1980s when she started working for HCL Computers, there were very few women entering information technology. Though the rate has improved now, women still account for less than 20 per cent of the Indian IT work force. Working style Follows the rule of exception. She has full confidence in her team. If there is a mistake, she steps in. Graduated from St Stephens College, Delhi. Unwinds with Puzzles and crosswords. Cooking Sunday meals. Vacation break London, for its crowds, familiarity and the country’s rich cultural history. Driving philosophy Ambition, staying power and organising ability. A supportive family is a must. Small, quick and powerful, Saina Nehwal captured India’s imagination even before she stormed her way to gold at the 2006 Philippines Open, her first major international title. With her impressive showing at the Beijing Olympics, the Commonwealth Youth Games gold, and her maiden entry into the global badminton top ten in 2008, and top of the list in India’s junior badminton rankings. It’s a far cry from travellng 50 kilometres a day to train as a child, but the spirit remains the same. Born In Hisar, Haryana, to Harvir Singh and Usha Rani Nehwal, both State badminton champions in their time. Olympian feat Quarterfinals at Beijing against heavy odds, beating world no 5 Wang Chen. Named 2008’s Most Promising Player by the Badminton World Federation. Ranked Ninth in the world badminton rankings, and advancing steadily higher. Coach connection Pullela Gopichand, India’s All-England tournament hero, trains her at his Hyderabad academy, and to whom she is often compared. Sania Mirza claimed her first Grand Slam title in 2009 winning the mixed doubles at the Australian Open with Mahesh Bhupathi. She also reached the finals of Pattaya Women’s Open in Bangkok this year. The tennis ace was awarded the Arjuna Award in 2004 and the Padma Shri in 2005 for her contribution to tennis. A slew of injuries kept her off the court for most of 2008 but she’s already back to her winning ways. She most recently won the doubles with Chuang Chia-jung at the 2009 MPS Group Championships in Florida. Early start Won the bronze medal in the mixed doubles at the Asian Games with Leander Paes when she was just 15.
International support Kim Clijsters said, ‘Her best tennis is incredible…. She’s probably hitting the ball a lot harder and cleaner, than a lot of the top girls’. Controversial moment Was issued a fatwa for her ‘inappropriate’ outfits and their ‘corrupting influence on the youth’. Trademark look Nose rings and quirky T-shirts. Big decision Her choice to not team with rising Israeli tennis star Shahar Pe’er in the 2006 Australian Open for fear of being seen collaborating with the Israelis. She did however play with Shahar at the 2007 WTA Tour of Stanford, California. Her place on a list of India’s power women was assured this year with her role as the legal force behind the landmark deal between Satyam Infotech and Tech Mahindra. 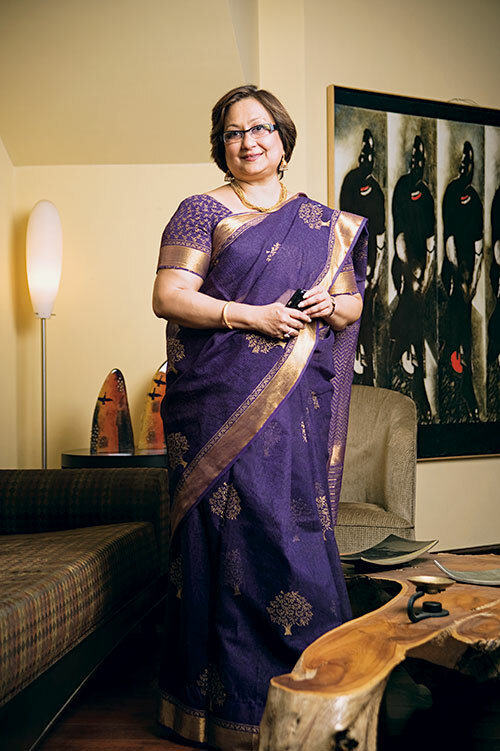 Brokering the deal at the negotiating table and being its public face in the media have only confirmed her as one of India’s most influential faces in corporate law. But it takes a lifetime of achievement to accumulate the résumé of Pallavi Shroff, lead litigation partner at Amarchand & Mangaldas & Suresh A. Shroff & Co. As an advisor to governments, a director on the boards of some of the country’s top companies and with a reputation in corporate law built on several successful representations of giants like Coca-Cola, GE and Indian Oil Corporation, her place at the table was never in doubt. Definition of power Responsibility and accountability. Familial bond Niece to legendary economist Jagdish Bhagwati. Role model Father P. N. Bhagwati, former Chief Justice of India. Relaxation strategies Gardening, cooking and Indian music. 2008 saw six films starring Priyanka Chopra, including two big box office successes Dostana and Fashion. The latter earned her a third Filmfare Award and her second Screen Weekly Award for best actress. She also won the Star Screen Award, Stardust Award, Cineblitz (CB) Award and Lions Club Award for best actress. This year, she bagged the Nielsen Box Office at the 3rd Annual Asian Film Festival held in Hong Kong for outstanding contribution to Asian films; while also being awarded at the 10th FICCI (Federation of Indian Chambers of Commerce and Industry) Frames this year for her contribution to entertainment. She is currently endorsing Lux, Sunsilk, J.Hampsted and Hero Honda, while having received the best brand ambassador award at the NDTV Profit Car and Bike Awards. Chopra is also the first Indian actor to have a ‘last’ of her foot immortalised at the Ferragamo Museum in Florence. She is the only other Indian to be a part of this museum after the Maharani of Cooch Behar. Role of challenge 12 different characters in the upcoming Ashutosh Gowarikar-directed What’s Your Rashee. Comfort wear Leggings and a long spandex top in her favourite colour, black. Unwinds with Music. Her van, room and car are always blasting music. Loves to read Prose, shayaris, Urdu and personalised hand-written notes. Addicted to romantic comedies and horror films. Coming into her own over the last few years, Shilpa Shetty’s Madonna-like powers of reinvention have seen her grow from strength to strength. 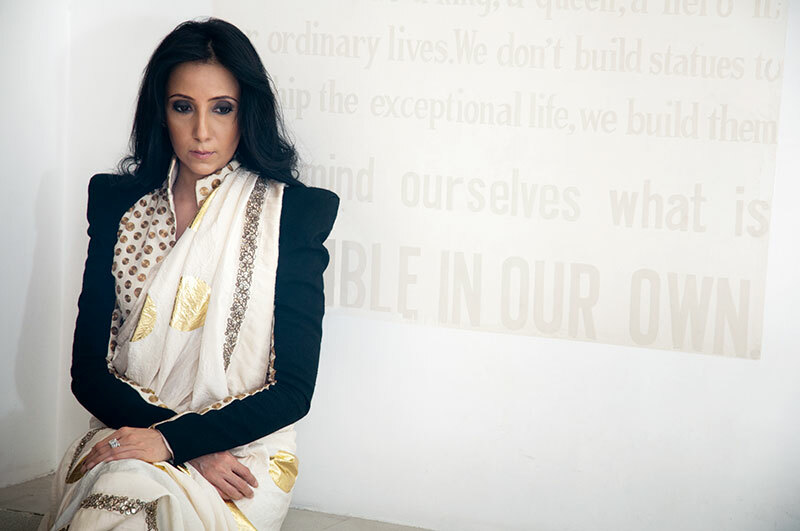 ‘Brand Shilpa is everywhere,’ we wrote of her in 2008, struck by the diversity of her power, marketing everything from a new perfume to yoga DVDs, to a biography in the works. With her poised sizzle in the South African sun cheering on her latest acquisition, IPL team Rajasthan Royals, Shetty’s appeal broke new barriers this year. Bollywood blowout A guest appearance in Dostana’s über-hot Shut Up And Bounce sequence. Signature look Fitted white sleeved tee-shirt under a slinky Rajasthan Royals fan jersey. Overshadowed The combined star power of her entire cricket team, including superstar captain Shane Warne, and boyfriend and co-owner Raj Kundra, during the IPL season. Good deed Praying for frenemy Jade Goody during the latter’s battle with cancer. Scent of success Popular perfume S2. Coming soon A role in Sunny Deol’s The Man. 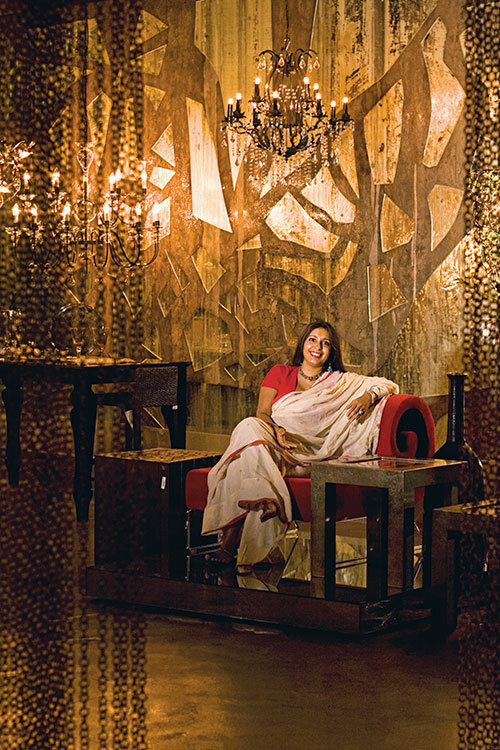 Simran Lal joined her mother Anita Lal, the founder of Good Earth in 2002. With her mother deeply involved with the creative aspect, she took the lead on the business side and saw the store’s amazing potential. “Original designs, detailing, quality and abundant use of natural fibres and pure materials makes it a unique luxury brand.” Following the success of their flagship store at Raghuvanshi Mills in Mumbai; Good Earth, under Lal, is in a brisk phase of national and international expansion. Last year saw three large stores open at Colaba, Mumbai, UB City, Bangalore and Rutland Gate, Chennai. Another branch launches in Gilman Village, Singapore, next month. Lal is currently excited about the launch of Good Earth apparel and a personal accessories range, as also the launch of their natural skincare range called Absolute Good Earth, both based on sustainable values. Familial bonds “I have a year-and-a-half-old baby and am expecting another one soon! Saviour of the about-to-be displaced slum dweller, Sunil and Nargis Dutt’s youngest child has come of age. An early win in the 2005 elections, which detractors dismissed as a ‘sympathy vote,’ following as it did soon after her father’s death, has been vindicated with her sweeping victory last month in the North-Central Parliamentary Constituency in Mumbai against prominent city lawyer Mahesh Jethmalani. Her first congratulatory call was from big brother Sanjay. Full time support Husband Owen Roncon, her most formidable campaigner. Big challenge To ably shoulder the legacy her father has left behind. Signature style Short kurtas and sneakers. Driving philosophy Development. In every which way. In a country obsessed with fairness creams, it is not easy for a dusky South Indian ‘unconventional’ beauty to become a pin-up goddess. The Bangalore-born supermodel has displayed a marathoner’s patience, focus and determination, with quiet assertion. Since the beginning of her career, Menon consciously avoided walking the mainstream pancaked boulevard to fame, careful of ‘overexposure’, selective almost to the point of being reclusive. But once she set foot on the Paris runways in 2007, she was catapulted to the status of the ‘ideal Indian beauty’, bagging the Hermès campaign and having her face splashed across numerous magazine covers, and in many designer campaigns. She is where she is, for possessing one vital quality — consistency. As firmly heeled in world muse kingdom, as royalty. Signature look Glowing earthy skin, smouldering eyes, and that pout! Firm about Minimal use of make-up. Natural is her mantra. Little known fact Takes a keen interest in photography, and can even hold jargon-heavy technical conversations with professionals. Admired for Her comfort level with her own body, as opposed to ‘cultured’ inhibitions in the Indian modelling industry. Driving philosophy Professionalism. Delivery according to requirement. Having studied sculpture at the J. J. School of Art, Shilpa Gupta switched gears to explore video and the electronic medium. Her meteoric rise has seen her win the Transmediale Award, Berlin and the Sanskriti Prathishthan Award, New Delhi in 2004. This year she has had solo shows in Galleria Continua, San Gimignano and Le Laboratoire in Paris and opened a show at the Lalit Kala in New Delhi hosted by Vadehra Gallery. 2009 will also see her participating in The Generational: Younger Than Jesus at New Museum, New York; Biennale Cuvee – World Selection of Contemporary Art in Linz, Austria as well as a solo exhibition at the Yvon Lambert Gallery in Paris in September. The Contemporary Art Center in Cincinnati will host her first major institutional show, in 2010. Her USP remains the role of art and its relationship with viewers. Treasured possession ‘Untitled’, a sculpture by Anant Joshi. Art admiration Anita Dube, Nalini Malani, Dayanita Singh, Hans Haacke, Yoko Ono, Mona Hatoum. 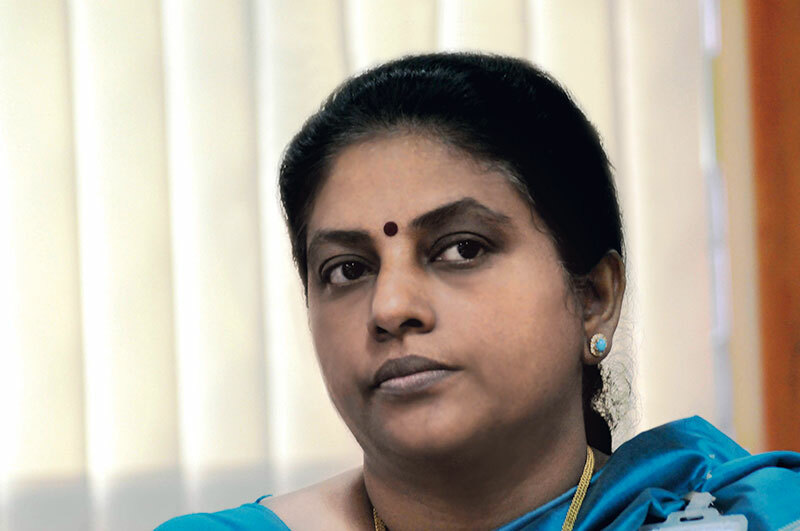 Missile queen, Tessy Thomas is the first Indian woman scientist to head the Agni II missile project which manufactures and tests missiles that can hit targets of up to 2500 kms. Last year, she was Associate Director for the Agni III 3500 kms project of the Defence Research and Development Organisation (DRDO). A woman truly in love with rocket science, Dr Thomas is an expert on solid propellant systems. With an MTech degree in Guided Missile Systems, she started her career in DRDO under the guidance of Dr APJ Abdul Kalam. Taking her job in stride, she does not feel that she is competing in a traditional male bastion. Familial bond Credits her mother for inspiring her to study solid state physics. Named Son Tejas after the country’s light combat fighter jet. Begins day at 4 a.m. and wraps up at midnight. From Slumdog to riches, no debutante in recent times has scaled a rise as dizzying as Freida Pinto. According to one website, the Buzz Log of the heroine of Danny Boyle’s Slumdog Millionaire which bagged eight Oscars, seven BAFTAs and four Golden Globes this year, skyrocketed a staggering 65,740 per cent in one day! The power newbie who describes her acting style as ‘raw and instinctive’ has been roped in to star in Oscar winner Julian Schnabel’s new film Miral, an adaptation of Italo-Palestinian Rula Jebreal’s book about Hind Husseini and an untitled Woody Allen project. Speculation about her love life – from her off-screen love interest in Slumdog co-star Dev Patel to her break-up with college sweetheart Rohan Antao – has kept her in the headlines, as has her soaring style quotient. Right now the Mumbai-born Catholic Mangalorean – her lineage traces back to Portuguese ancestors, hence the name Pinto – is too busy being the new international ‘it’ thing. Bollywood can wait. Awards 2009 Screen Actors Guild award for outstanding performance by a cast. Nominated for the 62nd BAFTA awards (Best Actress in a Supporting Role). Haute property The former model who once posed for a Wrigley’s gum ad made detractors chew their words by becoming the toast of the international fashion world and the new red-carpet darling. Pinto reportedly signed a six-figure deal with cosmetics giant Estee Lauder joining the likes of Liz Hurley and Gwyneth Paltrow to be the face of the company’s future endorsements. She also caught the attention of New York’s hip fashion commentators, The Fug Girls, and beat the likes of Renee Zellweger and Wendi Murdoch in style.com’s 10 Best Dressed List earlier this year. Style wise Comfort matters. “Wearing six-inch heels doesn’t necessarily spell style.” Values her purple Puma bag like a Prada. Driving philosophy Perseverance and flexibility spell success. The Delhi-based executive creative director and vice president of J Walter Thompson made waves with her debut novel The Zoya Factor (about Indian cricket’s lucky mascot). The film rights have been picked up by Shah Rukh Khan’s Red Chillies Entertainment. Chauhan is married to Niret Alva, president of TV powerhouse Miditech, making her politician Margaret Alva’s daughter-in-law. Obsesses about Her house and its décor, including painting walls and furniture, working with her hands, knitting socks, playing the piano, colouring her children’s homework. Currently working on A new novel, which is a love story set against the backdrop of a Lok Sabha election. It is half-way done. Currently reading Leo Tolstoy’s Anna Karenina. Off-screen buzz Her much written about relationship with director-boyfriend Anurag Kashyap. The sassy modern-day Paro carrying a mattress on her bicycle to the fields for an amorous rendezvous with her lover in Anurag Kashyap’s Dev D is one of the most iconic and path-breaking images of female sexuality to come out of Bollywood in recent times. Bold, volatile, sexually assertive, Mahie Gill’s Paro breathed new fire into Sarat Chandra’s coy heroine. One of the most exciting discoveries of 2008, Gill shone again in Kashyap’s political epic Gulaal. 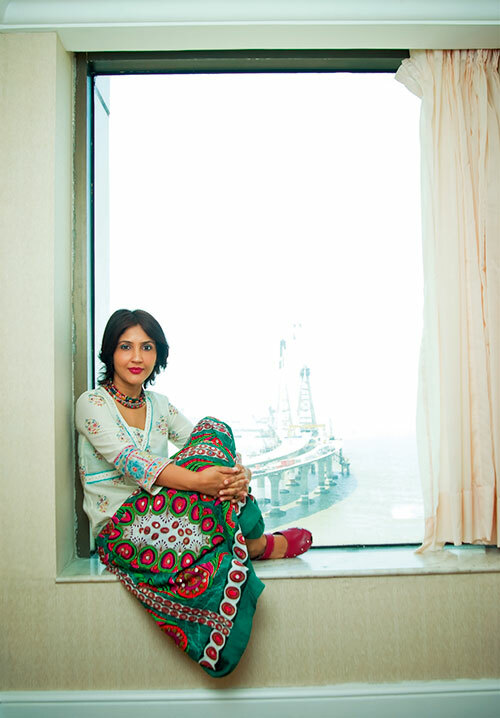 Comfortably ensconced in Bollywood now, she describes her Hindi debut as “a huge turning point in my life and career”. Passionate about Travelling to new and obscure places. Personal style White tops, blue jeans, Indian and western evening wear. “I’m not brand conscious at all.” Clothes by designer Harpreet Sandhu. She collected a plethora of awards this year for her sensitive performance as Debbie in Rock On! !, where she managed to garner approbation and critical attention in a largely male-dominated film. Shahana Goswami is now five films down and has four movies lined up for release. She was also recently seen in Nandita Das’ Firaaq as well as in the video of Dido’s song, Let’s Do The Things We Normally Do, playing a female taxi driver. Milestone “I always thought I would act, but didn’t have a concrete reason for thinking so!” A National School of Drama workshop, where she spent her break-time with her teachers instead of the students, became the first indication and reassurance she needed. Can’t do without Food – of any kind. Unwinds by Writing a diary. Loves to Dance. Trained in Odissi for 10 years, she would love to do a contextual dance role – like that of a choreographer, or an Umrao Jaan. Hangs out with Boyfriend Milind Soman. 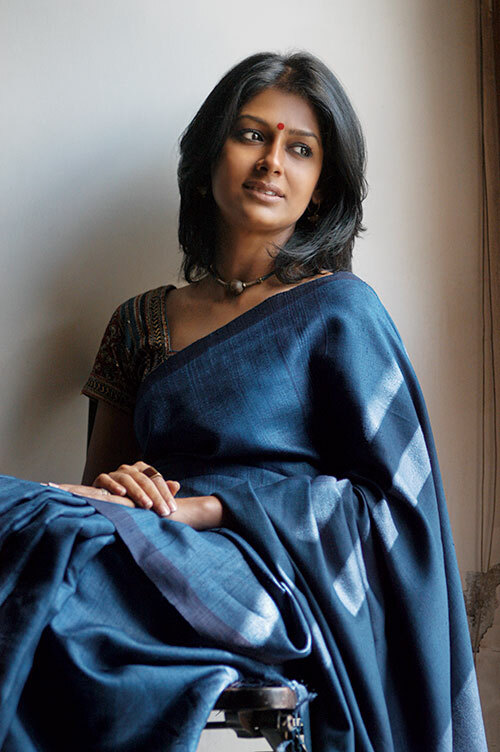 Nandita Das is the quintessential Bollywood outsider. Famously rejected for the role of Gauri in Lagaan for looking ‘too intelligent’, the intense actor with the flashing eyes has a rich body of work with memorable performances in films like Deepa Mehta’s Fire and 1947: Earth and more recently, Mehreen Jabbar’s Ramchand Pakistani. Her 2009 directorial debut Firaaq, based on the aftermath of the 2002 Godhra carnage, did not disappoint. Set over a 24-hour period and following multiple narratives of various characters grappling with the lingering effects of violence, the emotionally sensitive film went on to win several awards at international film fests. Firaaq was banned in Gujarat multiplexes when it first released, which only served to testify to its power. Das described the experience as ‘cathartic’. Trophy clutch Firaaq won several international awards including Asian Festival of First Films 2008 in Singapore (Best Film, Screenplay/Script), the Special Prize Award at the International Thessaloniki Film Festival in Greece, the Special Jury Award at the International Film Festival of Kerala and Best Editor award at the Dubai International Film Festival. Gets mad about People snooping into her personal life. Signature style Handloom saris and ethnic silver jewellery. Javed Akhtar and Honey Irani’s daughter took seven years to take Luck By Chance from a script written in Goa to a movie with appearances by all the major Bollywood stars. 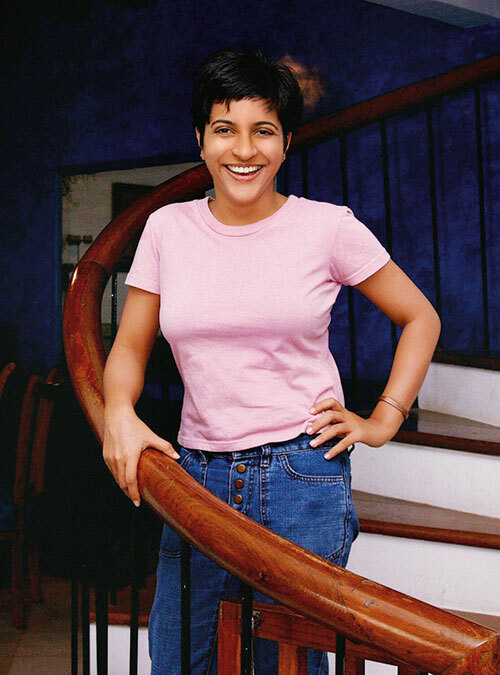 The NYU alumnus was politely turned down by all the stars she approached for the lead role (when her brother Farhan stepped in); but the audiences gave her a thumbs up (for the freshness of the script and performances and the adept direction) and also led to box office success for the first-time director. Moving ahead Currently co-writing a ‘road movie’ script with friend Reema Kagti due to be shot next year. Work day Varies from six hours a day when writing, to 18 hours a day when shooting. In five years will be Living in Goa. Can’t turn off The Godfather, Scarface, A Fish Called Wanda. Hangs out with Cousins Farah Khan and Sajid Khan, Karan Johar, Anurag Kashyap, Mira Nair, Arjun Bhasin. Teenage gripe Her parents forbade her from going to discos. Signature style Traditional in garb, modern in thought. Past avatar Expat wife mastering mah-jong moves in Jakarta. Pet peeve The caste system. Primary concern Shrinking water resources.